Genetic and metabolic birth disorders | COURAGE FOR AMERICA! How is your Corpus Callosum Thickness? A study, conducted by the U.S. National Institutes of Health, examines callosal morphology to analyze inter-hemispheric communication in the brain—in order to understand intellectual capacity in human beings. What this complicated scientific study fails to address is something desperately needed in modern brains: the common sense to tap the supernatural power of man, through faith in God. The human brain is able to accomplish incredible things– as is evident in persons born with genetic and metabolic birth disorders– when they are surrounded by an environment filled with faith in God, that encourages their supernatural abilities. Yet so many of our brothers and sisters with genetic and metabolic disorders are denied their special place in this world, through abortion and abortifacients. Humanity will continue on a rapid descent, until it acknowledges and respects all human life, under God, as the creator of all things… visible and invisible. PLEASE VIEW THE ARTISTIC EXHIBITION “With Water from Heaven” by artists with Down Syndrome. 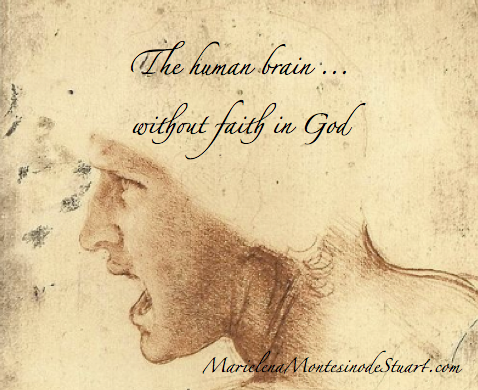 Human brain, Faith in God, Corpus Callosum, National Institutes of Health, NIH, Intellectual capacity, IQ, Fibers, Gender, IQ, Lateralization, MRI, Marielena Montesino de Stuart, Marielena Speaks, Marielena Stuart, Common Sense, genetic and metabolic birth disorders, Down Syndrome, Art, Painting, Photography.